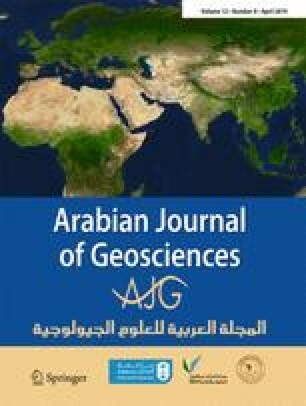 In this study, the trend of southwestern Asia’s rainfall (4152 stations) was investigated in two annual and monthly scales during the statistical period of 1970–2014 using non-parametric Mann–Kendall test with complete removal of the self-correlation structure. The results of the study of annual rainfall’s trend in South West Asia indicated that of the studied countries, the trend of rainfall in two countries, namely Iraq and Iran, was more critical than other countries and showed an approximate drop of 1.2 and 1.03 mm, respectively, in total annual rainfall year on year. All the regions of these two countries were studied and showed a declining trend of rainfall on an annual scale, and due to the rainfall shortage, these countries can be considered to be facing crisis. The results of annual and seasonal rainfall distribution in the studied area showed that, apart from winter, all of the studied scales during the period of 2005–2014 have shown a regular distribution of rainfall from 1970 to 1997, which is due to the declining trend in monthly rainfall and changes that reduce the monthly rainfall as a result of the regular distribution of rainfall between seasons and years. Moreover, the results indicated that in winter, rainfall distribution in Iran and its eastern neighbors were more irregular during the statistical period of the study, which could be the result of a rainfall disorder affecting these countries in the past decade. The irregular distribution of rainfall causes rainfall to be unevenly distributed across the seasons, which will then cause extreme rainfall. The authors are thankful to University of Birjand, Birjand, Iran.